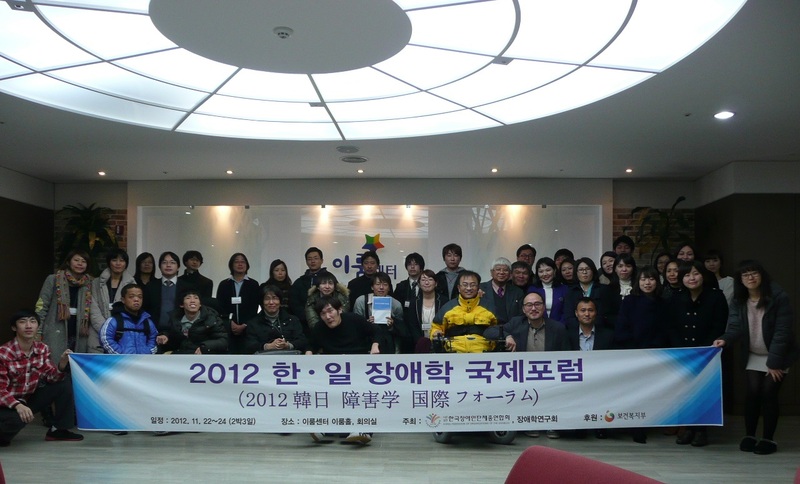 ・2010年度〜2014年度："Korea Japan Disability Studies Forum"
・2015年度〜："East Asia Disability Studies Forum"
This forum is based on the research relationship which has been started between the Disability Studies Forum in Korea and the Research Center for Ars Vivendi since 2009. 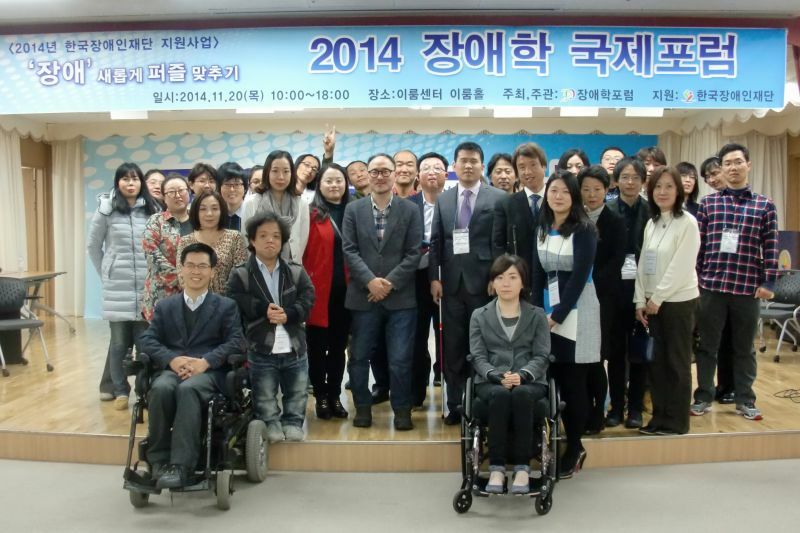 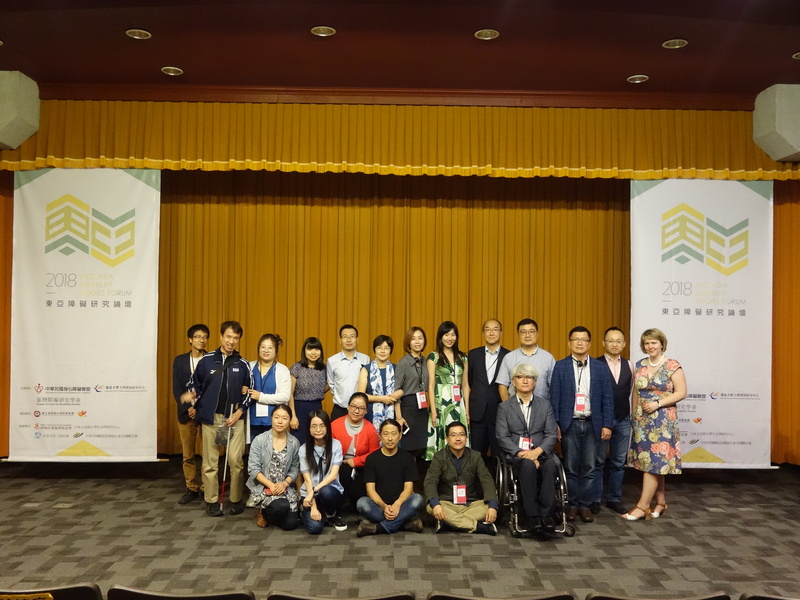 Since 2010, this forum has been continued by researchers and the people concerned related with disability studies of each countries and has been held every year in November. 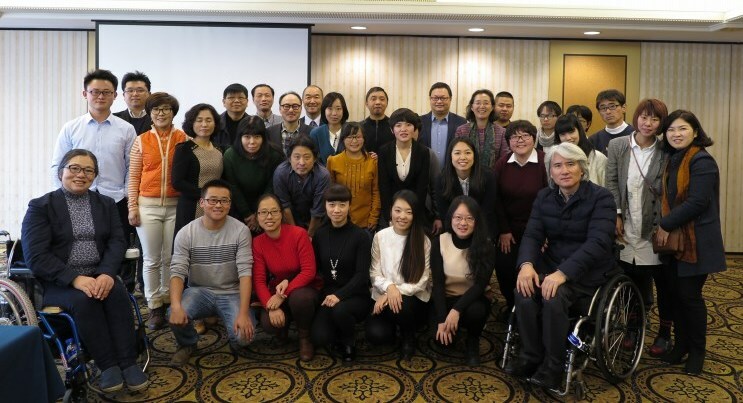 At a later time, Chinese civil soceity organizations have participated from 2014 and the forum of 2015 is co-hosted by three countries. 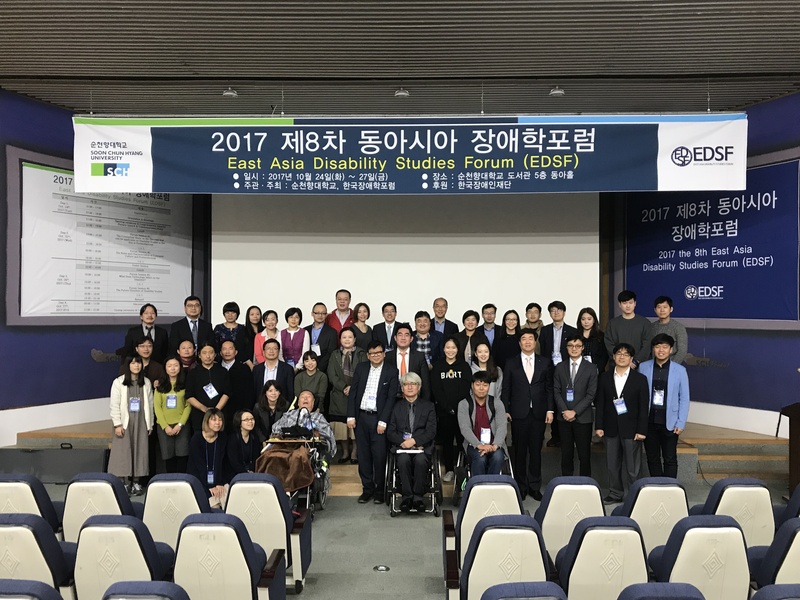 ・2010-2014: "Korea Japan Disability Studies Forum"
・2015-: "East Asia Disability Studies Forum"
メインセミナー：「障害アイデンティティと差異の政治学」/ Main Seminar: "Disability Identity and Politics of Differences"
メインセミナー：「被災した障害者の避難をめぐる困難について」ほか / Main Seminar: "Difficulties over Escape of Affected Disabled People" etc. 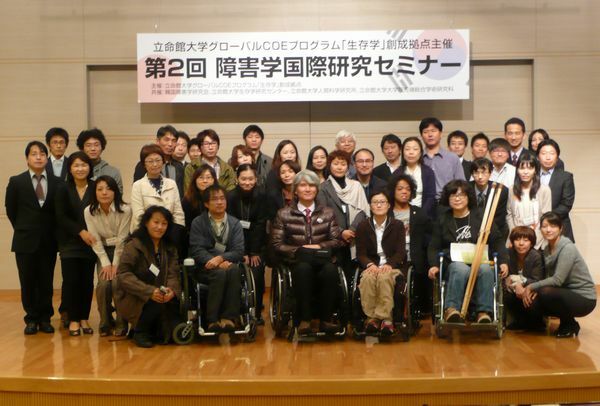 ラウンドテーブル：「障害・政策・家族」/ Round table: "Disability, Policy and Family"
メインテーマ：「差別禁止法」/ Main theme: "Disability discrimination act"
メインテーマ：「差別禁止——どこまで／どのように可能か／妥当か？」/ Main theme: "Prohibition of Discrimination: To What Extent/How/Appropriate?" 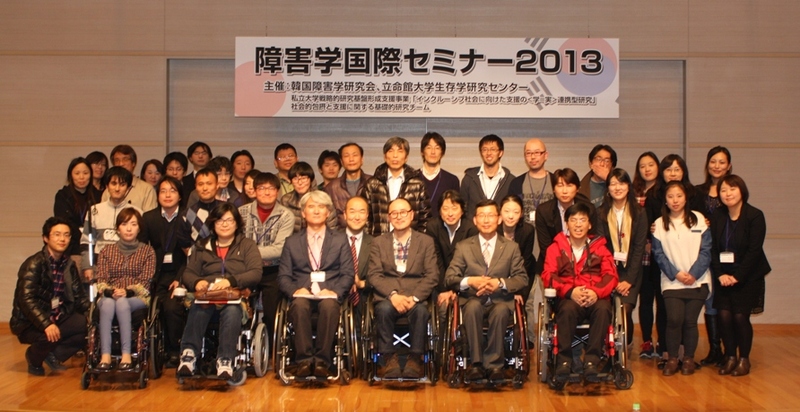 メインテーマ：「障害と治療」/ Main theme: "Disability and Treatment"
メインテーマ：（1）「社会サービス」（2）「障害者の権益保護」/ Main theme: (1)"Social Service Formed Centrally by People with Disabilities Themselves" (2)"Protect the Interests of People with Disabilities"
メインテーマ： 法的能力（障害者権利条約第12条）と成年後見制度 / Main theme: "Legal Capacity (Article 12 of the CRPD) and Adult Guardianship"
メインテーマ：ポストモダンと障害 / Main theme: "Postmodernism and Disability"